The division of Syria is not a good option and cannot be regarded as a permanent solution, Serbian geopolitical expert Dragana Trifkovic stresses, drawing parallels between Syria and Yugoslavia. When the West rushes in to redraw state borders, it usually means it plans to capitalize on the fragmentation, she adds. A chorus of Western pundits and military analysts is calling for the partitioning of Syria, claiming that Humpty Dumpty, as they cynically dub the country, cannot be put back together again. However, the last things they are concerned with are the will of the Syrian people and the nation's peace and prosperity. What really makes the hearts of the Western establishment beat faster are their vested interests. For instance, John R. Bolton, an American scholar and a former US Ambassador to the United Nations, suggests carving the Syrian and Iraqi oil regions out from the countries in order to create a pro-Western Sunni state — an oil producer and a "bulwark against both Mr. Assad and Iran-allied Baghdad." In his turn, Israeli academic David M. Weinberg claims that it is in the interest of the international community to recognize Israeli sovereignty in the Golan Heights amid the Syrian civil war. "Humpty Dumpty is down: The Golan is Israeli" — the title of his articlefor The Jerusalem Post reads. "I think that the division of Syria is not a good option and that it won't result in a permanent solution," Serbian expert in geopolitics and the Director General of the Center for Geostrategic Studies in Belgrade Dragana Trifkovic told Sputnik. "Western experts usually suggest redrawing borders when it is in their interests. We had the same situation in the former Yugoslavia, where the conflict in Bosnia and Herzegovina was resolved by a division of the territory, by the Dayton Agreement. It created an extremely complex and dysfunctional state in which the executive, legislative and judicial powers are controlled by a foreign factor. Neither of the sides is satisfied, and the state exists on the principle of coercion," the Serbian expert underscored. Trifkovic warned that the partitioning of Syria would have a similar outcome, which is not sustainable in the long run. "The serious consequences of the devastating war that continues in Syria cannot be repaired by bad compromises," the expert stressed. Trifkovic emphasized that Syria should establish control over the entire territory of the country in order to preserve its borders. "The international community must return to the principles of international law, of respect for sovereignty and territorial integrity, which is the opposite to the concept of globalization and the violent redrawing of borders," she underscored. 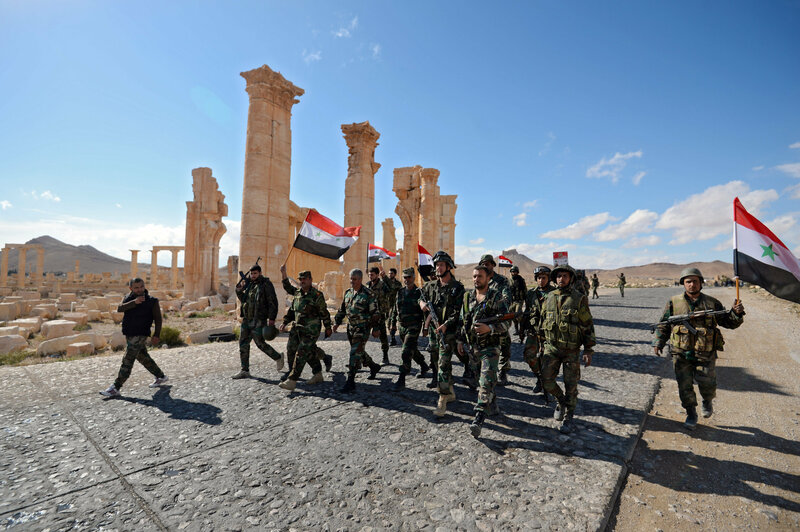 Liberation of Palmyra: Syrian soldiers with the flag of Syria are marching through Palmyra. In fact, Washington and NATO's plans in Syria originate in the policy the alliance has been pursuing since the dissolution of the Warsaw Pact. After the collapse of the USSR, the United States began to act as the only superpower, Trifkovic pointed out. She recalled that the first Islamist Mujahedeen which took part in the Yugoslav Wars arrived in the conflict zone with the West's tacit approval. "At that time, nobody cared about the decapitated Serbs," the expert remarked. "Afterwards, the Daesh project emerged in Iraq and Syria and then spread to Libya. The participants of the Yugoslav Wars, the Islamic extremists of Bosnia, as well as the Albanian terrorists from Kosovo and Metohija, are now fighting on the side of the 'Islamic state'," she noted. NATO has earned the reputation of an aggressor: over the past 25 years the alliance has been conducting policies which violated the provisions of the international law. The bombing of Yugoslavia in 1999 still serves as a glaring example of such a policy. 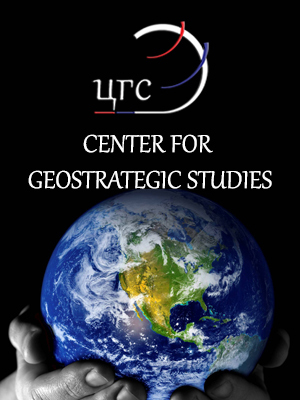 "The United States plays a decisive role in NATO, so they pursued their political, economic and military interests through this organization… The Middle East has a special importance because of the resources that the US would like to overtake. This is actually the real reason for the destabilization of the Middle East," Trifkovic underscored. To facilitate the peace process in Syria, Washington should take the political decision to support the truce and focus on a diplomatic solution to the ongoing conflict, the expert noted. At the same time, there is still a lot of controversy about NATO's claims that Russia poses a significant "threat" to the US and its allies. It adds nothing to the world's peace and stability. On the contrary, NATO's military buildup and intensive military exercises near Russia's borders aggravate tensions between Moscow and the alliance. Unspoken Story of Europe's Islamization: Who's Behind the Terror Upsurge? In light of this, Belgrade's steps toward cooperation with NATO look more than surprising, according to the expert. "The agreement between the Government of the Republic of Serbia and the NATO Support and Procurement Organization (NSPO) on cooperation in the field of logistical support provides the basis for an even closer cooperation between Serbia and NATO," Trifkovic explained. She turned the spotlight on the fact that in accordance with the agreement, NATO member states have been granted freedom of movement in Serbia, as well as diplomatic immunity, and access to all public and private facilities, including Serbia's garrisons and infrastructures. The Serbian government move prompted a wave of protests in the country. On February 20, thousands took to the streets in Belgrade, protesting against the NATO-Serbian agreement. On March 4, another peaceful demonstration took place in Nis. On March 27 several thousand Serbs marched in Belgrade to demonstrate their vocal discontent with the cooperation agreement. "The peaceful protests against NATO continue throughout Serbia. Over 80% of people in Serbia are against any kind of cooperation with NATO. The Serbian authorities have signed agreements through which NATO de facto enters Serbia. The national leadership is required to keep the policy in accordance with the will of the people and in accordance with national interests. Serbia has no interest in cooperating with the organization that carried out the aggression against our country in 1999 without UN Security Council approval," Trifkovic stressed. Although the official Serbian authorities promote a policy of military nonalignment (neutrality), by signing those agreements, they de facto took the side of NATO, the expert believes. "I think that it's impossible to simultaneously cooperate with NATO and Russia because NATO at all times creates an anti-Russian front; it affects the conflicts on Russia's borders, while at the same time warning about 'Russian aggression'," she noted. Trifkovic insists that the authorities in Serbia have to organize a referendum on the agreements they've signed with NATO so that the Serbian nation can democratically express its opinion. "The people of Serbia have the right to decide about their own fate," she underscored. "It is also necessary to be in line with the proclaimed policy of military neutrality, to legally and practically implement these provisions so that Serbia can be neutral not only in words, but in practice as well. In order to achieve an equal cooperation between the East and the West, we need to establish a much closer cooperation with Russia, which is also supported by most people in Serbia," Dragana Trifkovic concluded.